With cybercrimes estimated to cost companies $2 Trillion by 2019, the question isn’t if you should implement a fraud prevention strategy. For the first part, the answer should be evident: the sooner the better. However, company owners meet a tough challenge with the second part. This is because they face two very different paths, depending on whether they choose to prevent it in-house or to rely on a outsourced fraud prevention solution. Today, we’ll look at the pros and cons of both options to help you decide which makes more sense for your business. As you may imagine, not every company will have the budget or luxury to implement in-house fraud prevention solutions. But they can be a worthwhile investment if data privacy and complete control of the system are primordial requirements. Below is the breakdown of the pros and cons of the method. A tailored system: that is to say, one that meets your very specific needs. If, for instance, your main concern is account abuse, you will have a very good idea of how often and when it happens. A third party provider might not be able to target it as quickly with an out-of-the-box solution. Complete control: adding to the point above, all your fraud-prevention resources can be directed towards a specific goal, which means a more efficient solution. You decide when and how the fraud prevention kicks in, and get clear KPIs and figures for your ROI. No external support: the staff dedicated to your fraud prevention tool will get to know your products in and out. They will also remain fully available for fixes, updates and enhancements, something a support team might be able to provide with less agility. Full data privacy: none of the data leaves your premises as it is directly processed in-house. For companies where data-processing is highly sensitive, there is no better safety net than ensuring it is contained within your own silo. No integration nightmares: since the solution is purpose-built from scratch within your system, getting up and going should be a seamless, fast process. This is not always the case with complex external fraud prevention tools. Resource heavy: Aside from the huge upfront costs, there are other points to consider. How long will it take before the solution can get off the ground? And how much time will be lost to integration tests before you get good results? Staffing difficulties: chances that you already have cybersecurity experts on payroll in your IT department are slim to none. This means you’ll have to go through a long, expensive and tedious hiring process to find the right professionals: risk manager, fraud analyst, developers, data scientists…. And let’s not forget that if they leave the company, you will need a thorough contract to ensure none of your technology is leaked. Data-enrichment: for increasing the precision of your fraud prevention tool, you’ll need to aggregate data from various sources. 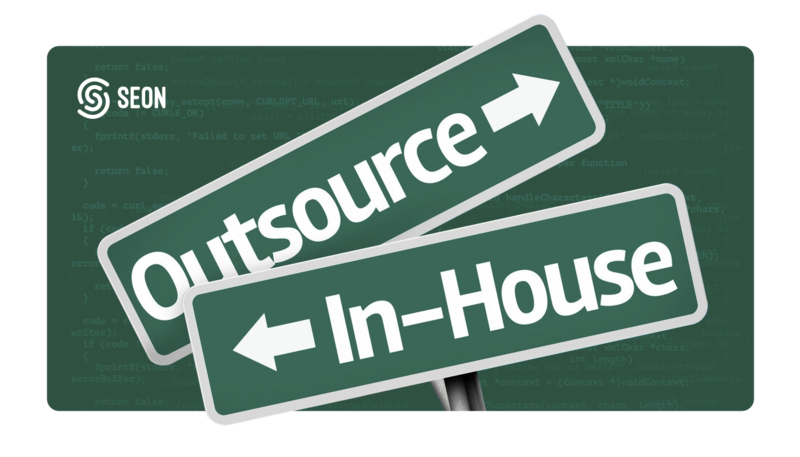 This often means integrating middleware platforms, which defeats the purpose of insourcing in terms of data security. Ongoing maintenance: implementing a solution is one thing, keeping it ticking along as your company scales is another. Sadly, the burden of ensuring nothing breaks with the fraud prevention tool will be on you and your team, which can be taxing in the long term, both in terms of resources and budget. If the points above haven’t helped you decide already, there is still a lot to consider with outsourced fraud prevention tools. On paper, they appear more agile and less resource-heavy, but before jumping the gun, let’s have a look at their pros and cons in detail. Wider range of data aggregation: When it comes to fraud prevention, the more data, the more precise your results. One of the greatest advantages of dedicated fraud prevention tools, is that they collect and share attack patterns from numerous sources, allowing for a higher success rate. Light on resources: the workforce comes with the fraud prevention package. That is to say, you won’t need to hire anyone, except perhaps a fraud prevention manager. This, of course, means fewer upfront expenses, and generally seems to be more cost-effective. Reduced oversight: since all the updates, bug fixes and feature-implementations are handled by the provider, there is little to do for your company except monitor the results. This can relieve a lot of concerns of CFOs, who can concentrate on protecting their bottom line through other strategies. Integration can be complex: your external fraud prevention tool needs to integrate within your system. This could be less seamless than you think if their documentation is lacking, or if their technology does not play nice with yours. Customisation is harder: Need to tailor the third-party solution to target your specific needs? You will either have to wait for them to release a new feature, or ensure the system is flexible enough – which isn’t always the case. Still requires manual efforts: Going over the fraud prevention tools’ analytics panel is still a job for your own team. If you want to tweak the rules, for instance, it’s important to understand how the system works, which requires a bit of legwork from your part. Decision-making can lack transparency: Certain fraud prevention tools give results without reasoning. This lack of transparency is frustrating, particularly when it comes to analysis and classification processes. Fraud managers must ensure they understand the scores or classifications to fine tune their results with the best user experience. In spite of all its potential challenges, it would seem that the pros outweigh the cons for outsourced fraud prevention solutions. Today, 43% of CFOs say they are likely to outsource part of their fraud prevention, and the figure jumps to 69% when it comes to ecommerce merchants. At Seon, we are well aware of the difficulties in choosing a fraud prevention tool. Our solution was designed from the ground up to meet all your challenges, by offering a tool that is easy to integrate, flexible, easily scalable, and offers outstanding results, regardless of your vertical. For more information, do not hesitate to contact us for a demo today.